Read this guide if you’re looking to purchase your first wetsuit, if it’s been a few years since you last bought a wetsuit, or if you simply want to brush up on your wetsuit knowledge. Every year or so wetsuit technology takes a leap forward as new features and materials become available, so it’s always a good idea to stay up-to-date. This guide will be updated regularly to reflect the current wetsuits on the market. 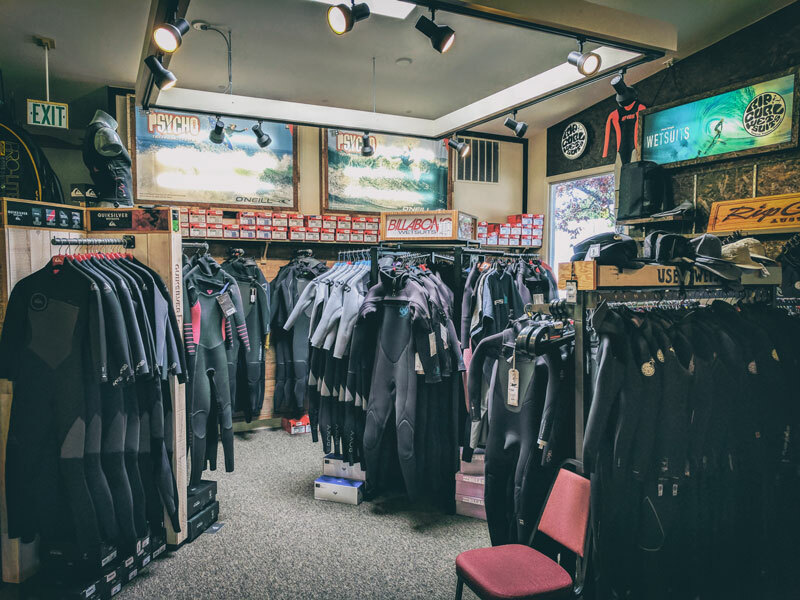 Selecting a wetsuit can seem daunting at times. There are a lot of options out there and every wetsuit has multiple features that will play a role in its overall warmth, durability, flexibility, and fit. At Cleanline Surf, we stock over 200 unique styles of surf-specific wetsuits. With such a large selection, how do you go about deciding which one will work best for you? This guide is here to help with that. By the time you’re done reading this guide, you’ll know more about wetsuits than the average surfer, and with this new knowledge we hope to help you make more informed decisions when buying your new wetsuit. That being said, please keep in mind that this is just a guide, and if you are uncertain about selecting a wetsuit you can always talk to one of our experts. Wetsuits have been around since the ’50s, and since then there have been major technological improvements. We will not go into depth on the history of the wetsuit in this guide but if you are interested in reading up on the history here are a few resources. A wetsuit keeps you warm by trapping a thin layer of water between your skin and the neoprene. Your body heats this water up, and your wetsuit prevents this water from leaving the suit and any more water from entering. Neoprene also does a great job at blocking wind, so any wind chill factor is cut down significantly. What Makes a Surfing Wetsuit Different From Dive Suits? Wetsuits made specifically for surfing have many unique qualities that make them different than scuba wetsuits. Generally, surfing wetsuits are much lighter and much more flexible, especially in the arms and shoulders, compared to dive suits. Wetsuits also have specialized chest and back panels to block wind and keep a surfer’s cores warm when sitting on their board above water. The neoprene in surfing wetsuits is also different than the neoprene used for scuba diving: dive suits are designed to withstand the continuous compression and reexpansion caused by the extreme pressure of being deep underwater for extended periods of time. What Makes a Surfing Wetsuit Different From Triathlon Suits? Triathlon wetsuits use a smooth skin material to make them more hydrodynamic. They are also built for speed and are not usually as durable as surf wetsuits. What is the Difference Between a Surfing Wetsuit and a Drysuit? Wetsuits are completely different than drysuits and if you are surfing you definitely want a wetsuit, not a drysuit. The biggest (and somewhat obvious) difference is that wetsuits do not keep you dry, while drysuits do. Other than that, wetsuits are formfitting and make it easier to duck dive under waves. If you tried paddling out with a drysuit you would have a lot of drag and it would be much more difficult than it would be in a wetsuit.